Crafted according to the Bavarian Purity Law of 1516. 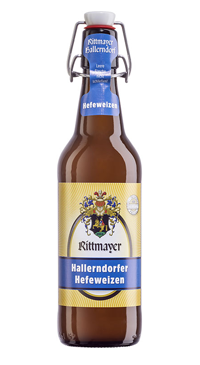 Ripe fruit aromas of banana, apricot and peach are in the focus of this full-bodied, light wheat wheat. Fine notes of yeast, cereals and spices give the beer additional variety of flavors. Through its animating freshness and liveliness a pleasure in every season.